Adaptations in the Franchise Era re-evaluates adaptation's place in a popular culture marked by the movement of content and audiences across more media borders than ever before. While adaptation has historically been understood as the transfer of stories from one medium to another-more often than not, from novel to film-the growing interconnectedness of media and media industries in the early twenty-first century raises new questions about the form and function of adaptation as both a product and a process. Where does adaptation fit within massive franchises that span pages, stages, screens, and theme parks? 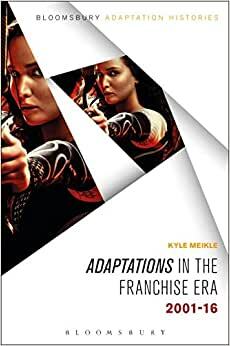 Rising scholar Kyle Meikle illuminates adaptation's enduring and essential role in the rise of franchises in the 2000s and 2010s. During that decade-and-a-half, adaptations set the foundation for multiplexed, multiplied film series, piloted streaming television's forays into original programming, found their way into audiences' hands in apps and video games, and went live in theatrical experiences on Broadway and beyond. The proliferation of adaptations was matched only by a proliferation of adaptation, as fans remixed and remade their favourite franchises online and off-. This volume considers how producers and consumers defined adaptations-and how adaptations defined themselves-through the endless intertextual play of the franchise era. Start reading Adaptations in the Franchise Era on your Kindle in under a minute. Adaptation and Convergence Culture situates adaptations within the wider contexts of popular culture in the first decade of the 21st century, including film and television franchises, fan fiction and remixes, board and video games, and theaters and theme parks.